When compared to similar precast concrete fence options, StoneTree® Concrete Fences are the clear https://www.acheterviagrafr24.com/a-quoi-sert-le-viagra/ leader in both quality and efficiency. StoneTree® Fence color options are limitless, giving your fence a customized feel which complements existing surroundings and landscape. Our specially formulated concrete sealer, which penetrates into the concrete and protects the beauty and longevity of the fence wall, may also be combined with your choice of a wide variety of color pigments to obtain that specialized appearance desired. 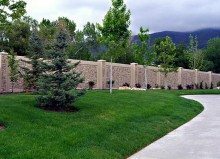 StoneTree® Concrete Fence Wall Systems are used for residential, commercial, industrial, community and public works applications. StoneTree® Fence color options are limitless, giving your fence a customized feel which complements existing surroundings and landscape. Our specially formulated concrete sealer, which penetrates into the concrete and protects the beauty and longevity of the fence wall, may also be combined with your choice of a wide variety of color pigments to obtain that specialized appearance desired.StoneTree® Concrete Fence Wall Systems are used for residential, commercial, industrial, community and public works applications.